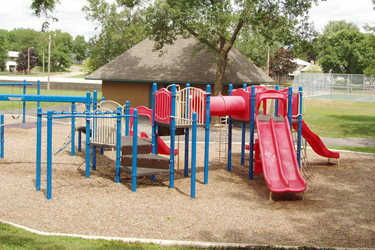 Groveland Park is a wonderful neighborhood playfield that has a variety of sports fields for residents of Inver Grove Heights. Other amenities include a playground, baseball/softball fields, soccer fields, basketball courts, tennis courts (non-lit), hockey rink (lit) and pleasure rink. Enjoy these amenities all year round! You can rent the beautiful picnic shelter area for your next family gathering, business picnic or party. Fees and capacity are on the Park Shelter Rental Page at www.invergroveheights.org/139/Park-Shelter-Rental. 6 Yes No Yes No No 756 ft.